The cryosphere expert and University of Colorado Distinguished Professor of Geography was the founding director of the National Snow and Ice Data Center (NSIDC). 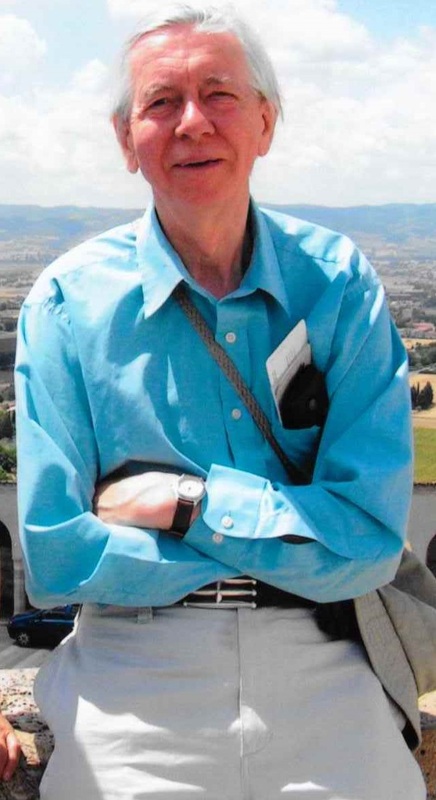 Dr. Roger Barry in Assisi, Italy, in 2007. Photo by Walt Meier and courtesy NSIDC. Dr. Roger Graham Barry, founding director of the National Snow and Ice Data Center (NSIDC), passed away on March 19, 2018, ending a distinguished career in the study of the cryosphere and mountain climates. Born in 1935 in Sheffield, Dr. Barry grew up in the United Kingdom. As a teenager interested in weather, he began working as a scientific assistant at the UK Meteorological Office in 1952. Soon afterwards, he was plotting data at the Royal Air Force Station Workshop in Nottinghamshire while taking correspondence courses in math and physics in the evenings. Failing the military’s eyesight test, he applied for a university program related to another early interest: geography. He earned his bachelor’s degree from the University of Liverpool in 1957, his master’s degree from McGill University in 1959, and his Ph.D. from the University of Southampton in 1965. In addition to his own coursework, he accepted a post as an assistant lecturer at the University of Southampton in 1960. He also began learning Russian through a BBC radio program, an endeavor that would later facilitate some of his international collaborations. 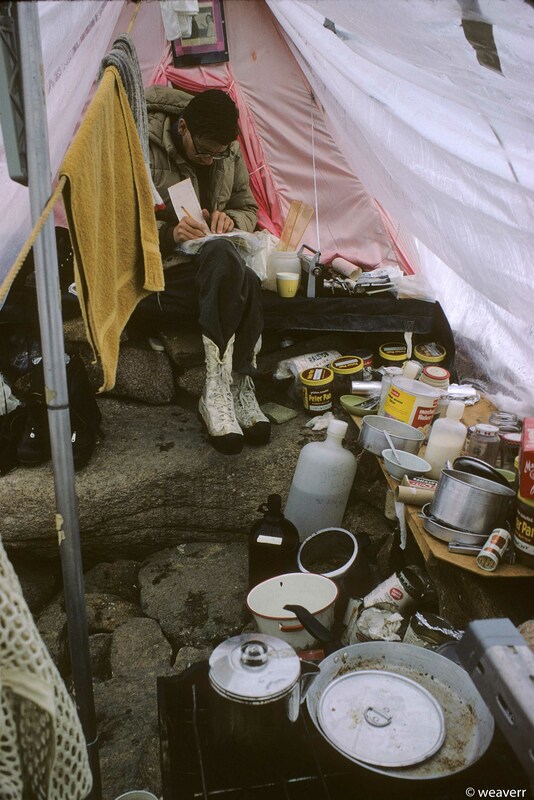 Dr. Barry in the cooking area of a research camp on Canada’s Baffin Island in 1970. The photographer, former NSIDC DAAC manager Ron Weaver, was one of Dr. Barry’s graduate students and recalls, “He was excited to see the research site, but, more importantly, to start data reduction immediately in the field. I was impressed by his focus and of course his ability to perform mathematical magic on the fly.” Photo by Ron Weaver and courtesy NSIDC. In the mid- to late-1960s, Dr. Barry hoped to train graduate students, but felt constrained by the UK’s limited research funding. In 1968, he accepted a post in the United States at the University of Colorado Boulder as an assistant professor at the Institute of Arctic and Alpine Research (INSTAAR). When the university assumed control of a World Data Center (WDC) for Glaciology in 1976, Dr. Barry became the center’s director. The center started small, but grew quickly under Dr. Barry’s leadership. At first, the WDC consisted of a library, a glacier photo collection, and a small staff. In 1980, the WDC became part of the Cooperative Institute for Research in Environmental Sciences (CIRES), which is a partnership between the National Oceanic and Atmospheric Administration (NOAA) and the University of Colorado Boulder. In 1982, NOAA designated NSIDC as coexistent with the WDC, and the center adopted the NSIDC name. In 1993, NSIDC became the location of a NASA Earth Observing System Data and Information System (EOSDIS) Distributed Active Archive Center (DAAC). NASA's NSIDC DAAC provides data and information on snow, sea ice, glaciers, ice sheets, ice shelves, frozen ground, soil moisture, cryosphere, and climate interactions, in support of research in global change detection, model validation, and water resource management. Along with training and recruiting a dedicated staff at NSIDC, Dr. Barry also fostered international collaboration. Between 1986 and 2005, several Russian scientists visited NSIDC for extended stays and research, and Dr. Barry’s visits to Russia in the 1990s paved the way for multiple U.S./Russian data-rescue efforts. Meanwhile, one of Dr. Barry’s visits to China helped facilitate China’s establishment of its own WDC for Glaciology. At NSIDC, Dr. Barry contributed to the Intergovernmental Panel on Climate Change (IPCC) assessments in 1990, 1995, and 2001. He served as a review editor for IPCC Working Groups 1 and 2 in 2007, an effort that contributed to the IPCC being awarded the 2007 Nobel Peace Prize. Other honors for Dr. Barry include Lifetime Career Awards from the Climate and Mountain Specialty groups of the Association of American Geographers, a Fellowship from the American Geophysical Union, the Goldthwait Polar Medal from the Byrd Polar Research Center, the Founder’s Medal from London’s Royal Geographic Society, the Humboldt Prize from the Bavarian Academy of Sciences, a J.S. Guggenheim Memorial Fellowship, and designation as a Distinguished Professor of Geography by the University of Colorado Board of Regents. 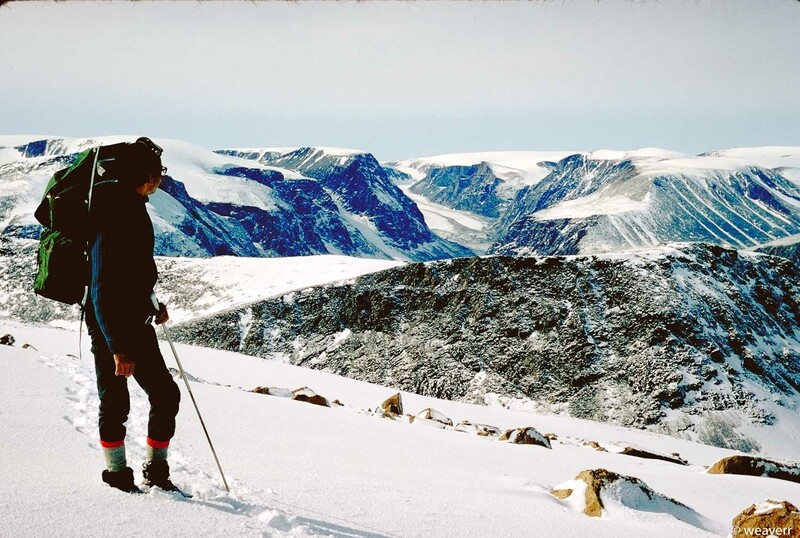 Dr. Roger Barry looks westward toward two outlet glaciers of the Penny Ice Cap on Canada’s Baffin Island. The photo was taken during a research trip with his graduate students in the summer of 1970. Photo by Ron Weaver and courtesy NSIDC. Between 1971 and 2011, Dr. Barry supervised 67 graduate students, 36 of whom earned Ph.D. degrees. Over the course of his career, he authored a substantial body of peer-reviewed research as well as numerous textbooks: Atmosphere, Weather and Climate; The Global Cryosphere: Past, Present and Future; Mountain Weather and Climate; Microclimate and Local Climate; Essentials of the Earth’s Climate System; and Synoptic and Dynamic Climatology.